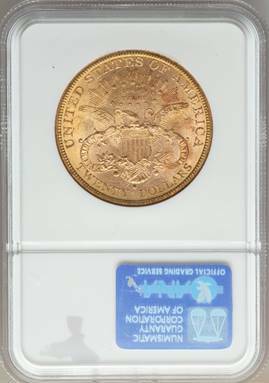 Offered here are popular San Francisco examples of a date which is virtually unobtainable for the Philadelphia mint issue. 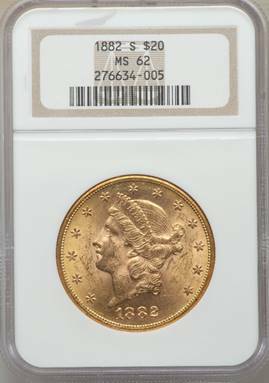 Like many of the Type Three twenties, the 1882-S is relatively available up through lower Mint State grades, but scarce in Select Uncirculated and rare any finer. Listed at $2,880 in the CDN CPG, $2.850 in the PCGS price guide, $3,750 in the NGC price guide and $3,250 in Trends.